‘My job is to deliver a team with the resources we have’ – Arsene Wenger. The AGM was a tense one to say the least and for the first time that I have seen, things got a bit heated. It took a speech (again) from the manager too calm things. It wasn’t quite the standard of the Churchill speech last year, but it was still full of passion. I won’t go into the content of the 75 minute meeting as many others who are MUCH better writers then me have already published their summary but I will give my own opinions. For the first time ever, I found myself agreeing with people I have never agreed with and had thoughts I have never had. These were NOT against the manager, who I still support and back but being usually the one to defend the club and its policies, I found myself questioning them. I guess that is what being a supporter is all about though. I was first up in asking a question and after a slight stumble from the chairman on my name I stood up and took the microphone. Talking in front of shareholders, the board and the manager, who I have admired for so many years was a bit nerve racking but I got my question out there (which was on ticket prices and Ivan telling us there will be less reliance on supporters when the new commercial deals and TV deals come in). To be honest, I was not expecting a proper answer but it was more a way of reminding the board that ticketing is very important to us supporters, but also complimenting the League cup pricing as it is fantastic value. The meeting went on and there were a few interesting points; the dividends question was not answered and there was a bit of a stand off between the AST hierarchy and the board. I have had a few people ask me why the AST are so chummy with Ivan and why they do not ask the right questions; it is safe to say the AST did ask the right questions and did not give up when they were answered back by the board. Ivan and Stan both named the two AST board members and were visibly disappointed at their outburst. I think this puts the AST Christmas drinks (usually at the Emirates and usually with the Arsenal board) in question! After the meeting, Ivan to his credit stuck around and spoke to shareholders/supporters and so did Arsene. Arsene had been very quiet and did not get involved in any matters until his speech with was more about team affairs (as you would expect). Despite all the heckling and frustration, when Arsene spoke, everyone listened. He still had the respect of the whole room; he may not have their full support any more but he certainly still has their respect which personally was good to see. We all have opinions on players, managers, board members etc but I think it’s important to keep the respect. Peter Hill-Wood who comes from a family who were/are devoted to Arsenal and despite his stuttering, his sarcasm towards supporters, he should still be respected, thinking its time maybe to move on though, is another question! Speaking to Arsene has always been a privileged because listening to him is fascinating. I tweeted a few things yesterday which he told a group of us and I think him talking about wages, overseas tours etc show how much football has changed over the last few years. 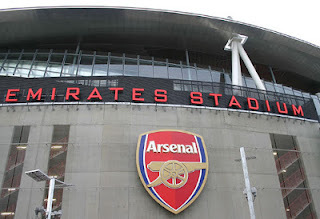 Overall, I am frustrated as anyone but I did what I could by asking about ticket prices and now I will head to the Emirates on Saturday to support the club I love. QPR, despite being bottom of the league, could cause a threat. They have spent money in the summer and brought in some good players and sooner or later, you would think they will click but let’s hope it is not on Saturday. I have a feeling the players WILL play for the supporters and the manager on Saturday and will be motivated to get all three points. I think in Arteta, Vermaelen, Mertesacker, Podolski etc we have players who have been through it all and will help the younger lads through. Having Sagna and Wilshere back in the squad (who by the way, Arsene talked so highly off and seems genuinely excited about again) will only help matters. Like you guys, I am desperate for a win on Saturday and therefore will remain as positive as ever, will support the team and will not panic if we do not score within the first 15 minutes! Despite what we think, despite what we are not happy about, three points is the immediate thought, anything else can wait…for now anyway. For a player that was playing in the sixth tier of English football, his rise to ‘fame’ is quite remarkable. He was told he was no good, he was rubbish, and was not an ‘Arsenal player’, yet he still went on and fought. He was sent off at Old Trafford early in his career and many doubted him. Some people even thought he would never get capped by Finland, let alone talk about the prospect of him playing for England. He played here and there, sometimes played well enough, sometimes didn’t have the best of games, but never really got spoken about. That was until this season. An injury to Sagna has meant Jenkinson has played, and played very well indeed. He has developed defensively and offensively and his natural height gives him a big advantage at set pieces. He has created goals too and has been a threat in the opposition's half of the pitch. Carl Jenkinson is truly living the dream, a dream we would all love to live. We cannot directly influence a result (we can chant songs and try and motivate players but not much else) but knowing Carl Jenkinson, a man who loves the club as a supporter, makes me feel rather good. I hope he gets picked for England and hope he proves to be a top player for the country because I am sure he will be for OUR club.